Superior Fish carries a complete line of caviars. 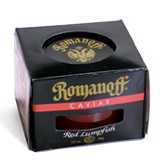 The Romanoff Brand of caviar has been carefully processed and packaged to maintain the caviars high quality and flavor. Here's a brief primer on caviar! 2oz Black Lumpfish This fish abounds in Arctic waters. It is a small egg with pronounced flavor. Lumpfish caviar adds flair and appeal to dips and hors d’oeuvres. 4oz Whitefish From North America’s Great Lakes; it is a mild, small, firm textured egg, with a delicate crunch. Available in black and red. Whitefish caviar is excellent for on its own or as a garnish, salads and pasta. It is Kosher. 2oz Red Salmon From the Pacific Northwest; it is large, translucent, attractive and flavorful. Especially good in omelets, canapés and toppings. Red Salmon caviar is also Kosher. Imported caviar to satisfy the most discriminating palates and expectations of the finest chefs. 1oz American Paddlefish Paddlefish roe have exploded in popularity since the recent UN controls on importation of sturgeon caviar. Paddlefish caviar is an alternative to caviar sourced from the Caspian Sea such as the most famous Beluga caviar. Native to American rivers such as the Mississippi, the paddlefish is a different but closely related species to the sturgeon and similarly has a very long lifespan of up to 50 years and can weigh up to a massive 100 pounds.Taste, is buttery and strong in “sea” flavour with a hint of nuttiness. It is often compared with Sevruga caviar with less of a salty taste. 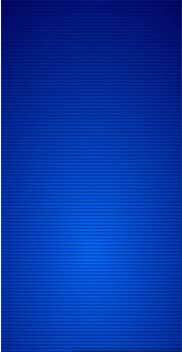 Preparation: Preheat oven to 350º F. Prepare toast points using thin sliced white or wheat bread. Remove crust and cut slices into 4 small triangles. Spread bread with butter and brown. Bake 6 to 10 minutes. Watch them carefully. Let cool. Mix together cream cheese and cocktail sauce. Blend until smooth. Add chopped green onions. Mix well. Spread on toast points and top with approximately 1/4 teaspoon of caviar.